Our clients can avail from us a huge variety of Imperial White Granite. 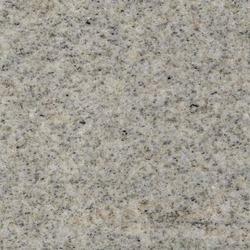 This variety of Granite is widely used in many applications like flooring and front elevations. Our range having a beautiful white background is a mark of elegance and prosperity. We are offering our range in different shades, patterns, sizes and shapes. Our range is available at the most economic prices in the market. Keeping in mind the diverse requirement of our clients, we are involved in offering a wide range of Imperial White Granite. This Imperial White Granite is extensively used in different housing places to give an elegant look. Moreover, our clients can avail this product in different range and sizes as per their requirement. Packaging Details: Tiles Will Be Packed In Styrofoam Or Cardboard Boxes, In Wooden Crates. OUR Imperial white granite quarry is one of the biggest granite quarry in the world with huge deposit of white granite available. We have supplied Imperial White granite to many big projects all over the world & this Imperial White granite is known for Projects. 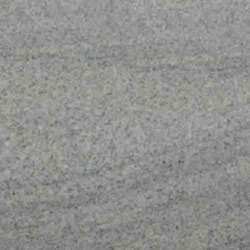 Our company holds vast experience in this domain and is involved in offering Imperial White Granite. Imperial White Granite looks elegant, especially in the interiors of houses. It is very popular among builders and interior designers because of its milky white color with Grey waves and spotted black dots. Extensively used as flooring, this granite reflects the white light, making a room look more spacious. It is available is slabs of different sizes and widths with industry leading prices. Imperial white has a white base with black small spots distributed all through and in between small lines of pink viens. This material is mainly used for flooring. It looks good when the finish is glossy and flamed. Imperial white is available in tile and slabs and is quarried in edapady, salem district, tamil nadu, south india.